The pre-1940s Tudor, Arts and Crafts, Colonial and Beaux Arts inspired homes on Shaughnessy’s leafy drives are now protected from demolition. Vancouver city council voted unanimously to approve a new First Shaughnessy Heritage Conservation Area Official Development Plan at its September 29, 2015 meeting. This is Vancouver’s first-ever heritage conservation area. It extends from West 16th to King Edward (West 25th) and Arbutus Street to Oak Street. 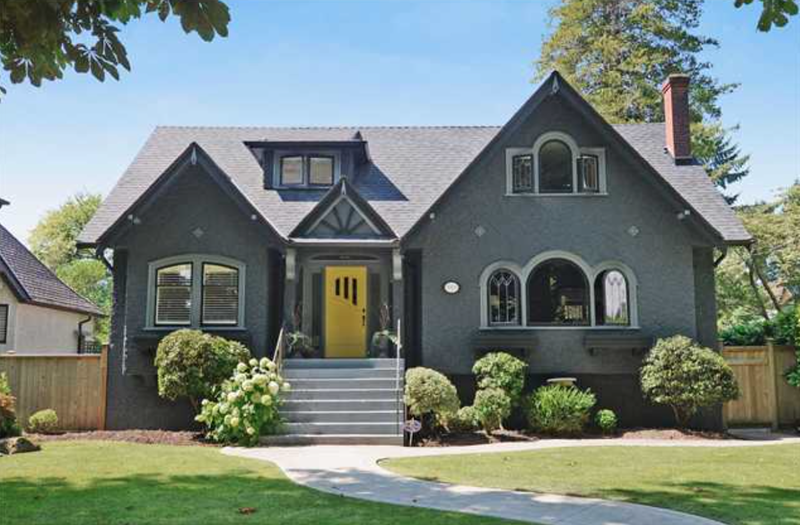 In 1907, the CPR sent the grandfather of J. Ross Ker, a former Real Estate Board of Greater Vancouver president and honorary life member, to develop the new upscale Shaughnessy neighbourhood. The neighbourhood came to include 595 properties, of which 315 were built before 1940 and 80 are now so important to Vancouver's history, they’re listed on the Vancouver Heritage Register. In June 2014, in response to a steadily increasing number of demolition permit requests, Vancouver placed a temporary moratorium on the demolition of pre-1940s homes in the neighbourhood. To help determine how to best conserve property in the neighbourhood, the city held open houses as well as three public hearings during the summer. The focus was on whether or not to make the temporary moratorium permanent. 372 letters, form letters and emails opposing a ban on demolitions. amends the Heritage Bylaw and the Parking Bylaw. Repairing and restoring heritage homes can cost a significant amount. To offset the costs of maintenance, under the new rules, the City will now allow owners to turn their property into multi-unit buildings with secondary suites, or depending on the lot size, to add coach houses and infill buildings. the values of heritage properties tend to be resistant to downturns in the general market. Where else are there heritage conservation districts? There are numerous heritage conservation areas outside of the City of Vancouver in British Columbia. This is a new tool for Vancouver. Property tax relief for renovation of heritage homes? Council has the authority to approve property tax relief for protected heritage property under section 396a of the Vancouver Charter. The Heritage Property Tax Exemption tool has only been used in the Downtown Eastside as part of the special heritage building rehabilitation program. The city plans to examine its use for other areas as part of the Heritage Action Plan update. Under the new bylaw, if a property owner can prove their home doesn’t have heritage value, there’s a process which ends up before council which make the decision as to whether the home can be demolished, according to Jane Pickering, Vancouver’s acting general manager of planning and development. Vancouver city council is looking at extending the bylaw to other neighbourhoods.